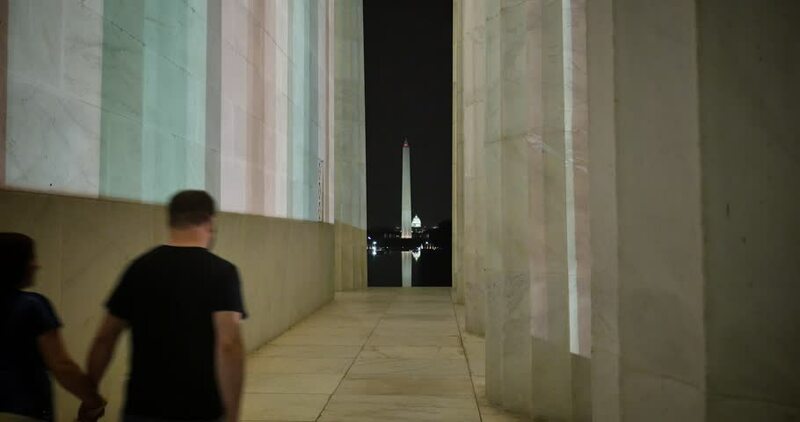 WASHINGTON, D.C. - Circa July, 2015 - Two people walk along side the Lincoln Memorial at night with the Washington Memorial and Capitol Building in the background. hd00:17The young man with enthusiasm does marks in the notebook. The guy at last has found a suitable solution. 4k00:32Slow motion view of round hall in the luxury hotel. Soft light from wall lamp. Doors in the rooms and wall lamp on the sides.